Take the stress out of mealtimes with our fantastic range of baby feeding accessories. From versatile long-sleeved bibs to practical, spill-free spout cups, we’ve got everything you need for a hassle-free meal. 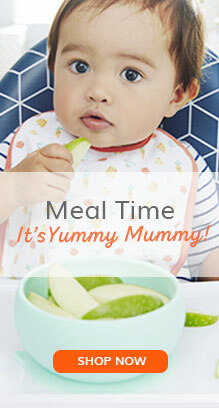 Your little one will love the bright colours of our bibs and feeding bowls, and our handy meal sets are designed to help them become independent eaters. Browse the full collection below.